the global outreach of the campaign under the CMS Secretariat. 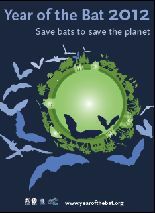 bats are able to boost crops by acting as pest control agent. on educational activities that took place in Mexico.